USD Coin (USDC) is a fully collateralized US Dollar stablecoin based on the open source fiat stablecoin framework developed by Centre, a consortium founded by Circle and Coinbase. USDC tokens are ERC-20 compatible and can be used with any ERC-20 compatible digital wallet or service. Customers from around the world can tokenize US Dollars into USDC and / or redeem USDC back into US Dollars with Circle (https://usdc.circle.com) and Coinbase (https://www.coinbase.com). USDC is fully collateralized - every unit of USDC is only ever issued after a corresponding US Dollar is deposited in reserve bank accounts. Reserve funds are held with multiple US-based banks. USDC is built on openness and accountability, enshrined in the governance and technology standards effort of Centre. We’re a global crypto finance company on a mission to make it possible for anyone, anywhere to help change the global economy. 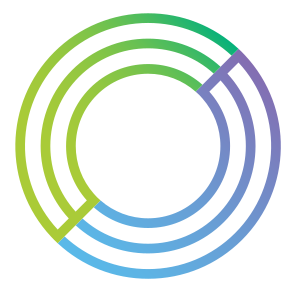 Circle was founded in 2013 because we believed money should work like the internet — open, secure, free, everywhere. Today, we offer four products. Circle Invest makes it easy to invest in crypto even if you’ve never invested in crypto. With Circle Pay you can send money like a text — across the table or the ocean. Our OTC crypto desk Circle Trade moves over $2B each month. And our addition of Poloniex welcomes one of the world’s largest crypto exchanges. Unlike existing systems that are closed and proprietary, we use open standards and protocols to build our products. Coinbase is a bitcoin broker that provides a platform for traders to buy and sell bitcoin with fiat money. In addition to its primary operation as a broker, Coinbase is also a bitcoin exchange and wallet provider.